**Sensor holes can be drilled upon request. Products shown with available options. Boxes, lights, and accessories are not included in standard bumper price. 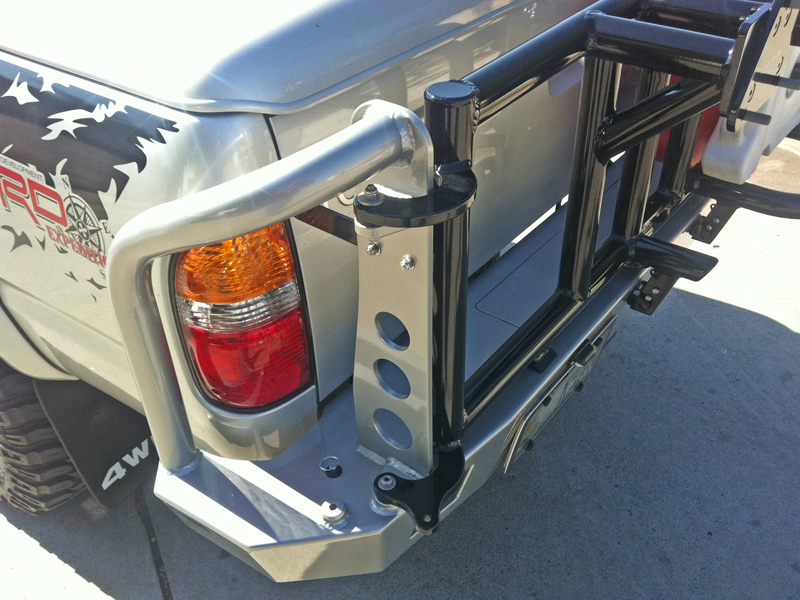 Aluminess Rear bumpers are the perfect solution for those people that need to hold an over-sized spare and extra gear. The dual swing outs allow for easy access to your bed. A variety of boxes are available to store extra fuel, water, tools, or even a generator. 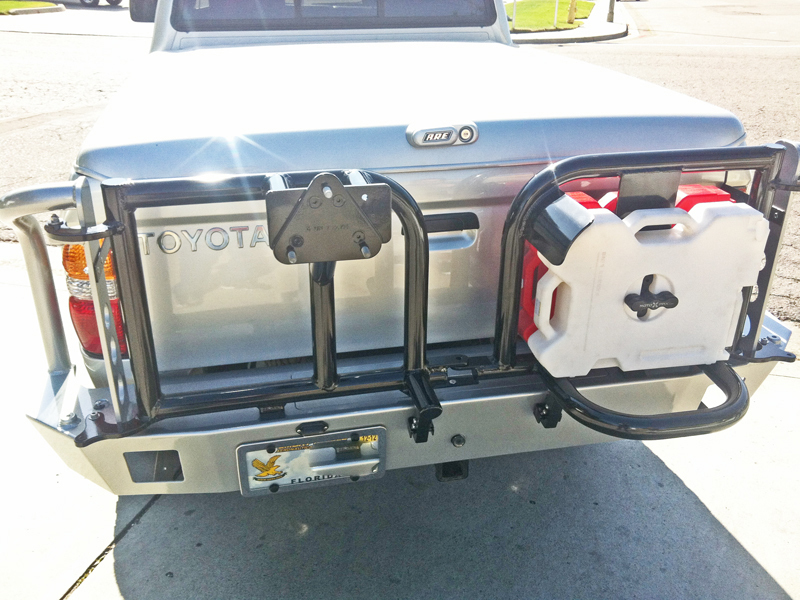 The bumper is powder coated black and has a built in storage box to hold tire chains and tow straps. 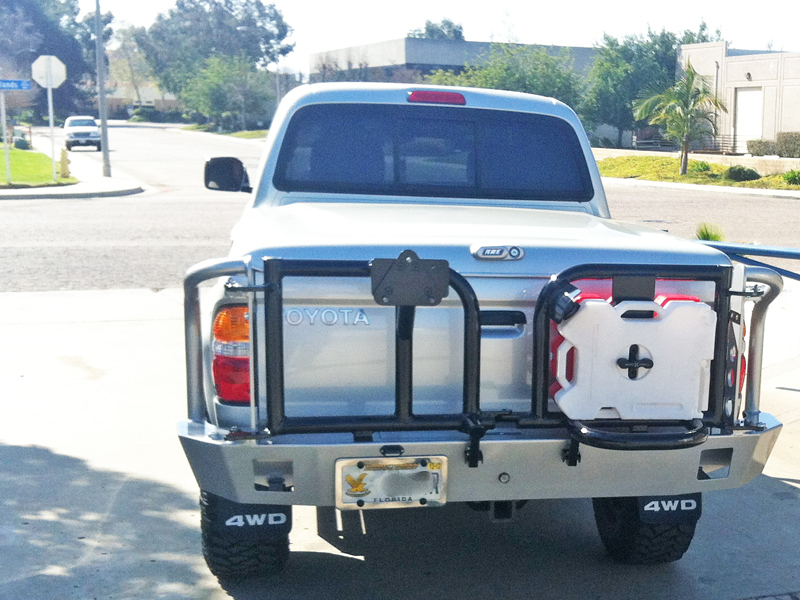 Whether you have a camper and need extra storage, or you are an avid off-roader and need to hold an over-sized tire, Aluminess bumpers are your answer. 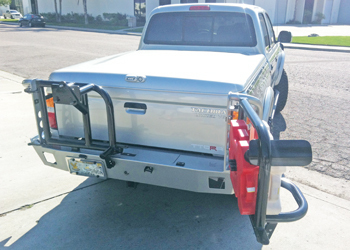 These heavy duty work lights provide a 400 lumen super bright flood beam pattern, perfect for all work and equipment vehicles.The light holes in our rear bumper were specifically designed to fit this light. They work great as a backup light, or hooked up to an auxiliary switch for a utility light. This box was originally designed for the Honda 2000 generator, but now is used for a variety of reasons. It’s 20″ tall x 16″ deep by 24″. This box is also watertight. Bolt on rails are an option for this box.